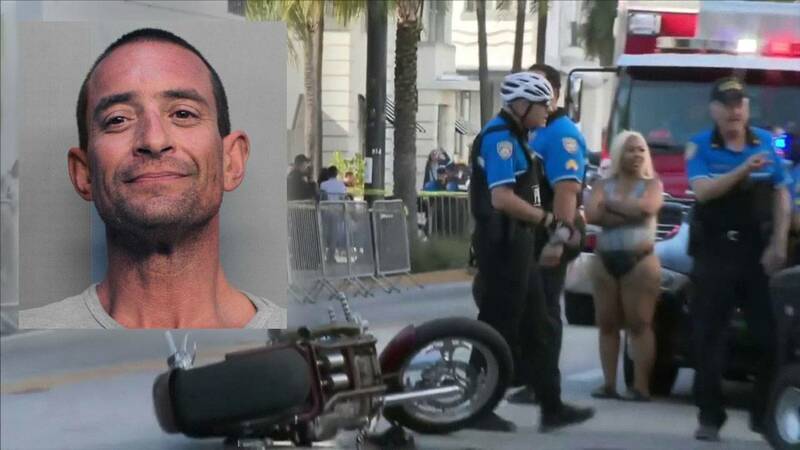 MIAMI BEACH, Fla. - A Miami Beach man was arrested Friday after authorities said he intentionally struck a police officer with his motorcycle. Garrett Flores, 40, faces multiple charges, including aggravated battery on a law enforcement officer, drug possession, resisting arrest and reckless driving. According to the arrest report, a Miami Beach motorman attempted to stop Flores on his motorcycle in the 1000 block of Collins Avenue around 5:30 p.m. Friday. However, Flores ignored the officer and continued on his motorcycle through the South Beach area, the report said. 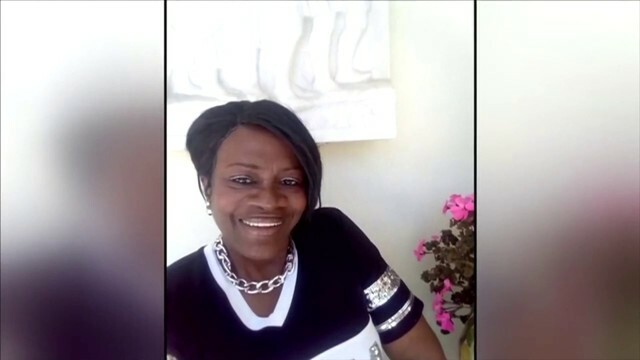 While being pursued by the motorman, Flores began to drive recklessly, occasionally riding in the opposite lane, the report said. Near 6th Street on Collins Avenue, Sgt. Philip Elmore and another officer stepped into the center of road to block Flores' path. Flores briefly braked and then drove into Elmore, the report said. After striking Elmore, Flore abandoned the motorcycle in the road and fled on foot, but was quickly detained by the other officers on the scene, the report said. Paramedics transported Elmore to Jackson Memorial Hospital. Doctors there said he suffered a cut to his head, bruises and scratches. He was listed in serious but stable condition. Police said Elmore is a 13-year veteran of the Miami Beach Police Department. "He is in a lot of pain, but he is in good spirits, and it doesn't appear that there is anything that won't mend in time," Miami Beach police Chief Dan Oates said late Friday. Oates called Flores' behavior outrageous. After Flores was arrested, officers found a small bag of cocaine on his person, the report said. Flores told police after his arrest that the throttle on the motorcycle become stuck and he accidentally struck the officer. Flores is currently being held on $18,000 bond at Miami-Dade County's Turner Guilford Knight Correctional Center.